Santiago Hernán Solari´s job was on the edge at Balaídos and the new Real Madrid coach passed the exam with top grades. 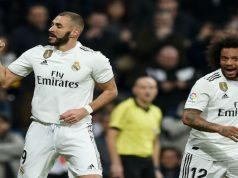 Los Blancos won their fourth game in a row in all competition shortening the gap with FC Barcelona, that lost against Betis (3-4) at home. Karim Benzema was the star of the game again, shining against (2-4) Celta de Vigo in a tough and violent match. It was violent because up to three Real Madrid players got injured due to the risky game played by Celta footballers. Casemiro was the first one to fall, substituted by Dani Ceballos, who played as a stopper and he is growing up with every game played. Nacho Fernández and Reguilón couldn’t also finish the game, so Javi Sánchez and Lucas Vázquez had to defend the result at the end. Besides, Bale had a swollen ankle and had problems during the whole game. It was a tough game in every sense. Roncagla could have scored first for Celta de Vigo but his header went directly to the post. Then, Benzema’s show started, with dribblings, slaloms and playing football like no one else. 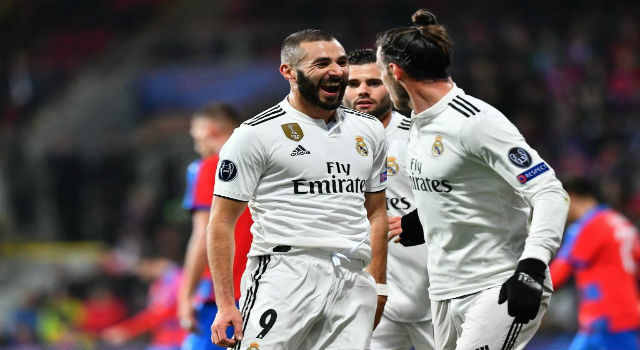 He scored the first one in the 26th minute after a great control and assisted Toni Kroos just right after, but the German midfielder missed the chance. 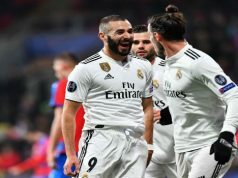 In the second half, Benzema invented a new dribbling in the box and the ball ended up touching the net after a lucky touch from Roncaglia. However, Celta reacted quite quickly and Hugo Mallo opened the scoreboard for his team. Odriozola fell in the box and Sergio Ramos didn’t miss again from the penalty spot, in a Panenka style. The game was over, but Dani Ceballos had time to score a great goal from outside the box. Brais Méndez scored the last goal of the game in the injury time. This is a great result that backs Solari’s job. The Argentinian will continue as top manager after the international break. Now Los Blancos are only four points behind the leaders, FC Barcelona, who have to face Atlético Madrid in the next game. La Liga is completely opened and everything can happen. This team wasn’t that bad as Lopetegui´s results showed us.